An essential vape accessory, this 2 pack of Samsung 25R batteries are rechargeable and are a great, money saving way to power your vape pens. Packaged in a storage case, they're easy to keep with you on the go and have a voltage of 3.6V. 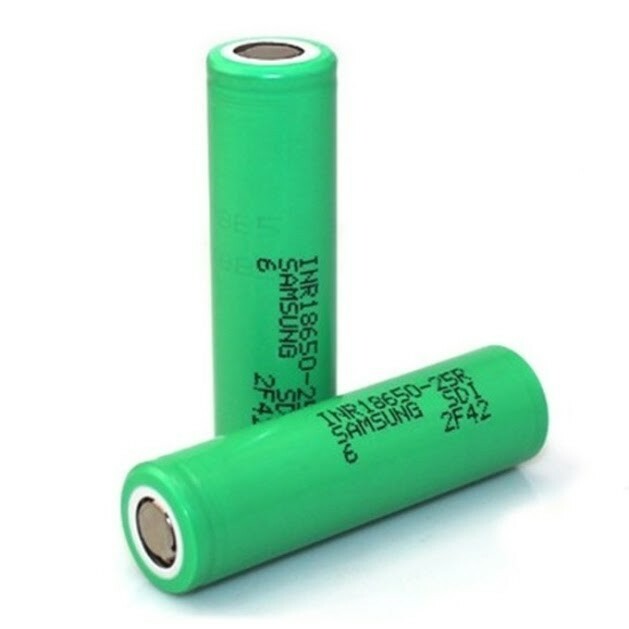 Stock up today and never worry about being out of charges batteries for your vaping experience. Store following guidelines and never carry loose cells - keep in the case - and don't short them with metallic objects. For use with most vape pens - always check before purchase.